Currently operates three production facilities, a logistic platform and six service facilities in the Czech Republic, Slovenia and Germany. TRICOR focusses on the design and production of standard and customised industrial and heavy-duty corrugated-board packaging solutions. The Company offers complementary warehousing and specialised logistics solutions through its subsidiary TRANSCOR Logistics GmbH & Co. KG. With its products and services, the Company primarily serves industrial customers in the automotive, chemical, engineering and electronics industries throughout Central Europe. TRICOR Packaging & Logistics AG currently employs 900 FTEs. We aim to deliver innovative, sustainable and high-quality products to our customers, creating value through superior customer experience. To provide our customer with industrial packaging solutions that will reduce cost and manage risks by using our expertise in design and manufacture and logistics services. To become the leading European supplier of industrial and heavy-duty packaging solutions by developing and delivering the most innovative products to the automotive, semi-bulk and other constructive packaging segments, managing the customer experience and providing value to the shareholders by enhancing profitability. Tricor helps customers fulfil their ambitions, whether they be economic or environmental. We work closely with our customers to eliminate unnecessary cost and reduce the carbon footprint throughout their supply chain. Other benefits include reduction or elimination of product waste, reduced handling, fewer pallets, fewer trucks on the road and reduced storage requirements. In supply chain analysis workshops, we learn about our customer supply chains, form internal logistics requirements to the end user and work on every step in between. Understanding your supply chain needs helps us establish the full range of requirements the packaging must meet. Last but not least, simple and effective recycling helps our customers use resources responsibly, which constitutes a particular strength of corrugated packaging. Our corrugated board is made of renewable raw materials to the greatest possible extent. The production of TRICOR-corrugated board at our plant in Bad Wörishofen is FSC®-certified. We source all our corrugated-board raw paper from responsible forest cultivation that prioritises the ecologically adapted, socially beneficial and economically viable management of the world’s forests. We actively contribute to preserving the biological variety and sensitive ecological systems of the forests, maintaining fair terms of employment and counteracting climate change. The TRICOR competes through innovation, quality, flexibility, reliability and fairness. We want to reach our business objectives only by lawful and value-oriented actions. The attention of laws and intra-company arrangements is the highest priority for our company, our executives and all employees. Our code of ethics (Business Conduct Guidelines) is the basis of all our work. Certified production and organisational processes and an in-house test laboratory guarantee highest product- and process reliability. 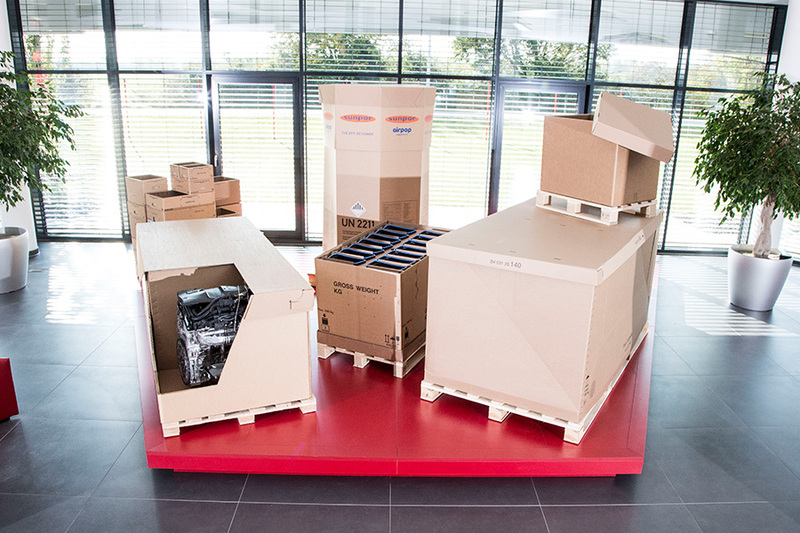 Tricor is one of the leading providers of heavy-duty corrugated packaging in Europe.